As one of the most common materials used in the metal stamping process, brass is an alloy of copper and zinc. Offering excellent thermo and electricity conduction, brass stampings are often formed as transmission parts and electronic instruments. Also, brass has a bright, gold-like appearance that makes it ideal for decorative applications. 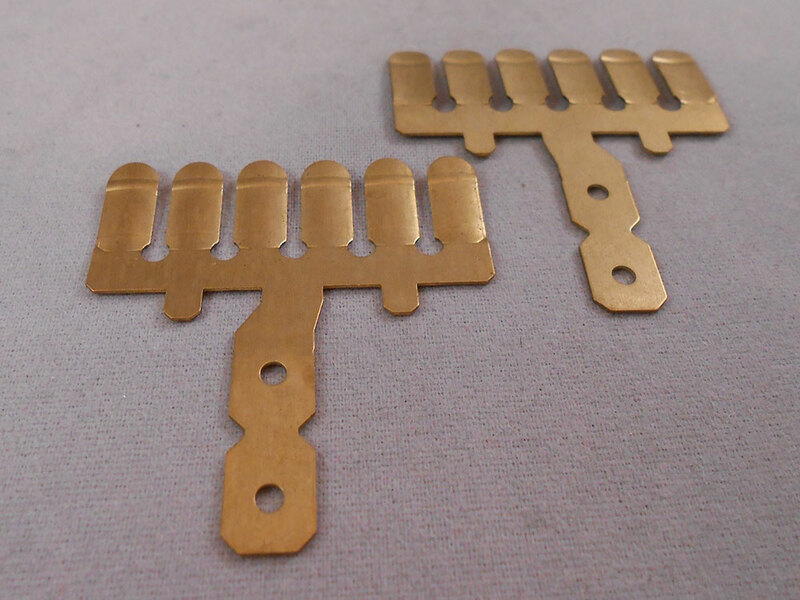 Able to be formed into two-dimensional and three-dimensional parts, brass stampings are also utilized in applications such as heater components, jewelry, musical instruments, valves, locks, gears, household fixtures, plumbing accessories and flare fittings. Offering high malleability and exceptional acoustic properties, brass stampings are often beneficial for industries such as aerospace, commercial, automotive, electronics, HVAC, appliance, textile and wastewater. Relatively resistant to tarnishing, brass stampings can offer a wide range of properties as a result of different variations of zinc and copper that form varied and unique types of brass. Also, some brasses are referred to as bronzes, which are actually an alloy of copper and tin. Brass Stampings Brass stampings are formed during metal forming processes in which flat stock brass sheets or brass coils are precisely shaped in a stamping press.